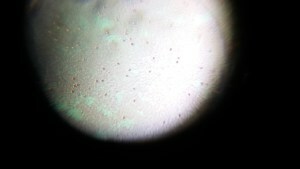 This gram’s staining view shows polymorphs occasional lymphocytes. When the magnification is high it could be clear. This sample is received from a Hospital in Erode.